On July 18, I spoke with MSNBC anchor Chris Jansing about the upcoming trial, actually the first of a series of trials, of Sadddam Hussein. Here is a summary of that interview and a link to a video. As Saddam Hussein awaits his first trial, many are left scratching their heads about the facts of the first case that will be brought against him. While the former dictator has been accused of killing hundreds of thousands of Iraqis, prosecutors have decided that his first trial will involve a massacre of about 150 people. 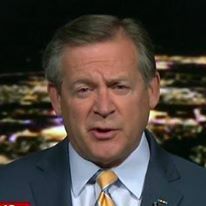 MSNBC analyst and retired Lieutenant Colonel Rick Francona joined MSNBC Live’s Chris Jansing on Monday to discuss the decision. The case itself reflects a 1982 assassination attempt that was made on Saddam Hussein’s life in the town of Dujail. “Saddam sends his henchmen to take care of the situation, and immediately, 150 people are arrested, tortured and executed, about 500 go missing and hundreds of others are banished to the Southwest desert.” Francona said describing the details of the case. What remains in question is why this particular incident was chosen over much more horrendous crimes. Francona notes that because world leaders have generally claimed exemption from prosecution for things they did as heads of state, this makes the prosecution’s job much harder than one might expect. “Are you accusing Saddam Hussein, or are you accusing the president of Iraq, because if you’re accusing the president of Iraq he could say he was acting in his official capacity.” Francona said. This simple reasoning has prosecutors initially starting small, in order to build a workable case against him. Though the first case is very important, this is far from the only case planned against the former dictator. “There are going to be probably 13 or 14 trials involving Saddam Hussein.” Francona said.